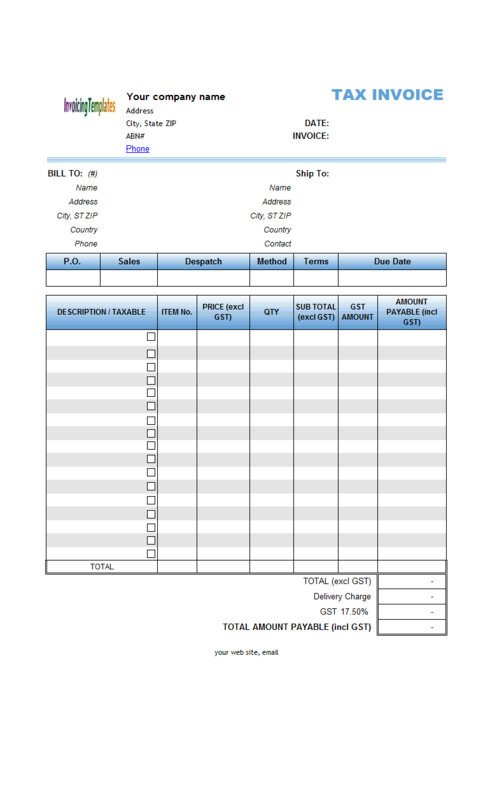 If you are running a shipping business, this Excel-formatted (xlsx) shipping invoice template helps you to create beautiful shipping or tow truck invoices. On revising the original shipping invoice template, we added a printable Volvo heavy truck background image. c5087 now includes the customized invoice template for the latest version of Invoice Manager for Excel. This is what you will see when you open excel-shipping-invoice-truck-background.xlsx. 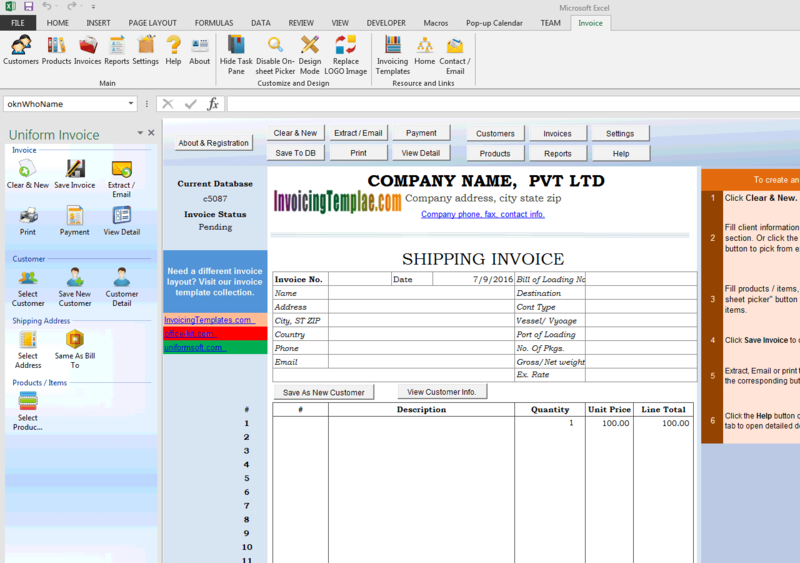 On creating invoices, Excel invoice templates has many advantages over the other formats, like Microsoft Word (docx), PDF, HTML / CSS, or even Adobe Photoshop (PSD), etc. 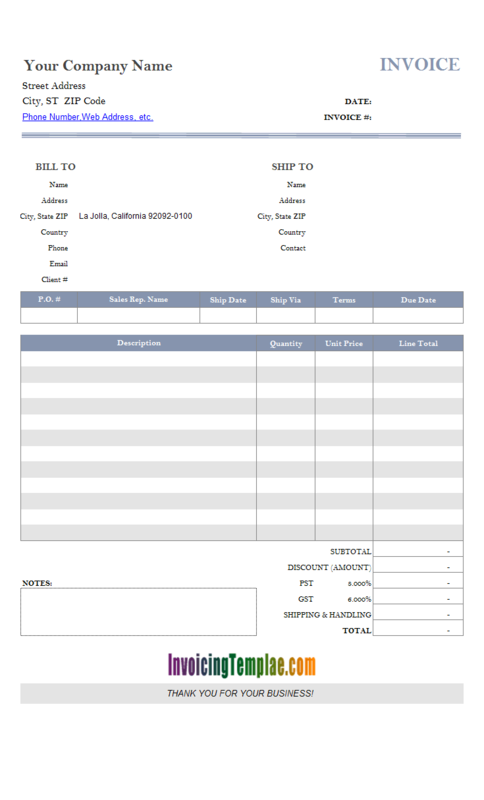 Maybe programs like Photoshop is possibly able to generate beautiful invoices (however, without a proper Photoshop-based invoice template, it is a time consuming work to do), none of the other formats could do automated calculations using formulas like Microsoft Excel, which is critical if you need to create several invoices each day. On the other hand, to some people it may be not intuitionistic enough when they want to make their invoices stand out from competition by using a background image. Although Microsoft Excel does provided a "Background" command on the "Page Layout" ribbon tab, the background image or picture set in this way is removed (not included) in the printed result. Fortunately it is still possible to print an image in the background of a worksheet. This technique could also implement watermark effect on your invoices, as shown in Simple Invoice Template with Printable Watermark. 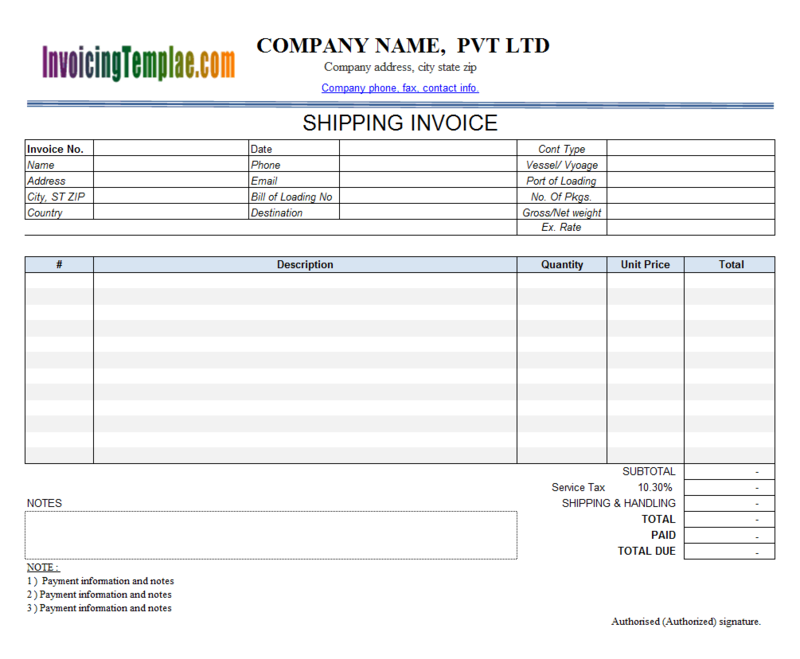 In this sample invoice template, we use c5013 Shipping Invoice Template (1) as the basic invoice template, add a truck background image to its print result (as well as the PDF shipping invoice), and discuss the key points involved in the customization process. 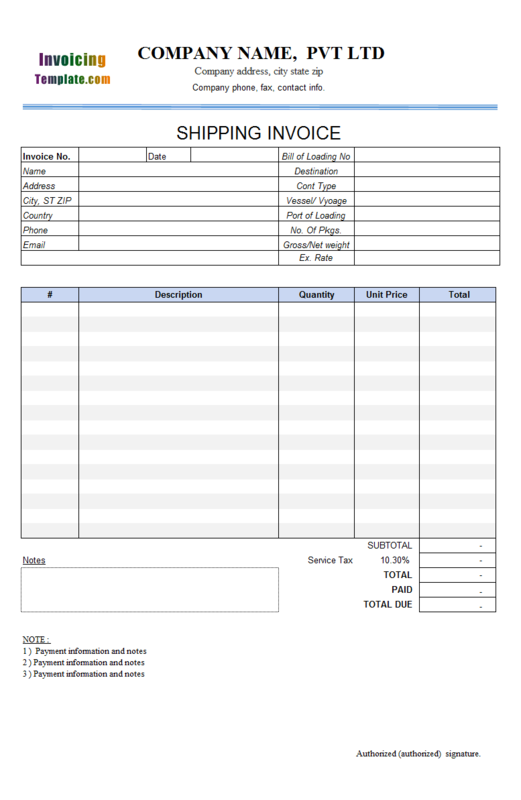 PDF is an idea format for sending out your electronic shipping invoice. 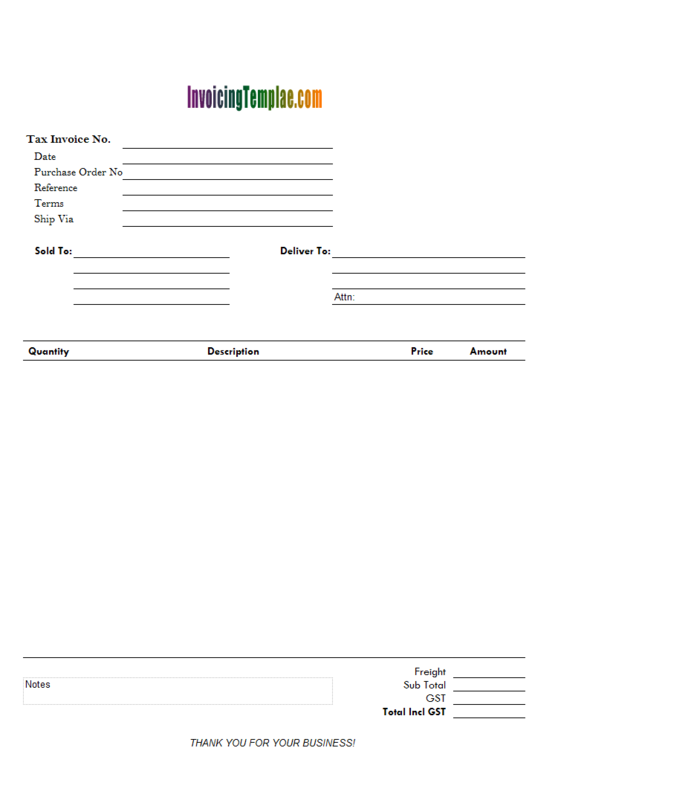 Here on InvoicingTemplate.com we also have a list of PDF invoice templates for you to choose from. First, if a cell has a background set, the cell background covers the truck background image. 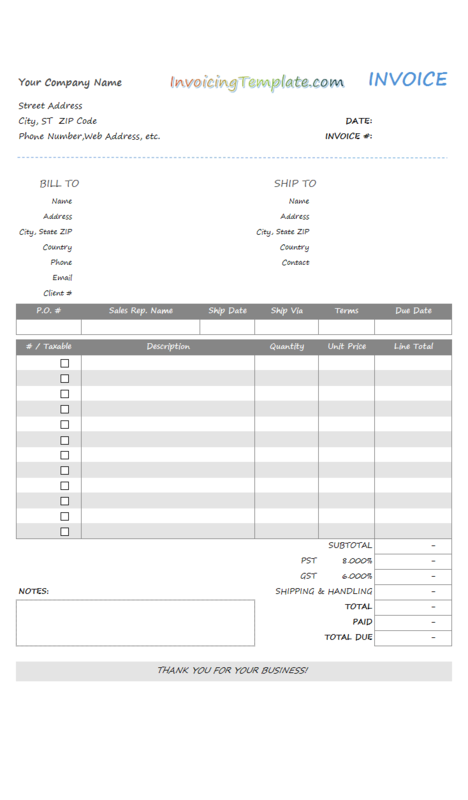 Our original shipping invoice template has background set for a number of cells, like the column heading cells "#", "Description", "Quantity", "Unit Price" and "Line Total". 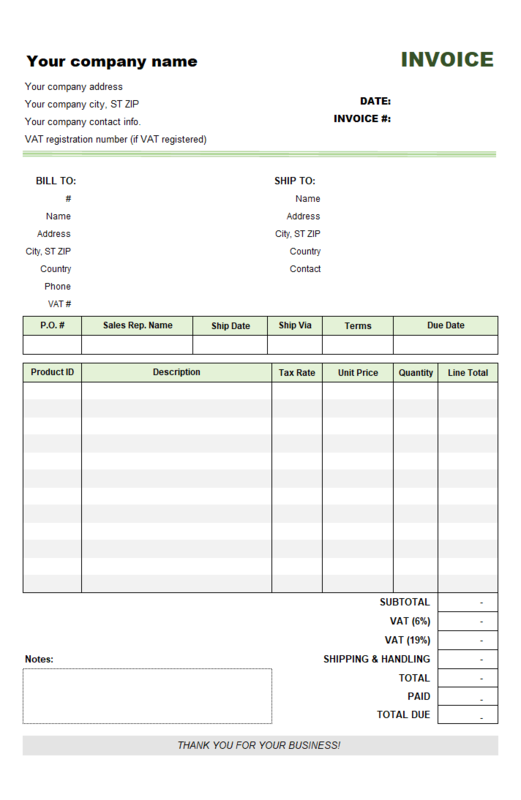 The rows in the invoice detail section are set with striped gray background. To clear all the background settings for all the cells in the Print_Area range, follow the steps below (However, make a backup copy of your current template before modifying it). 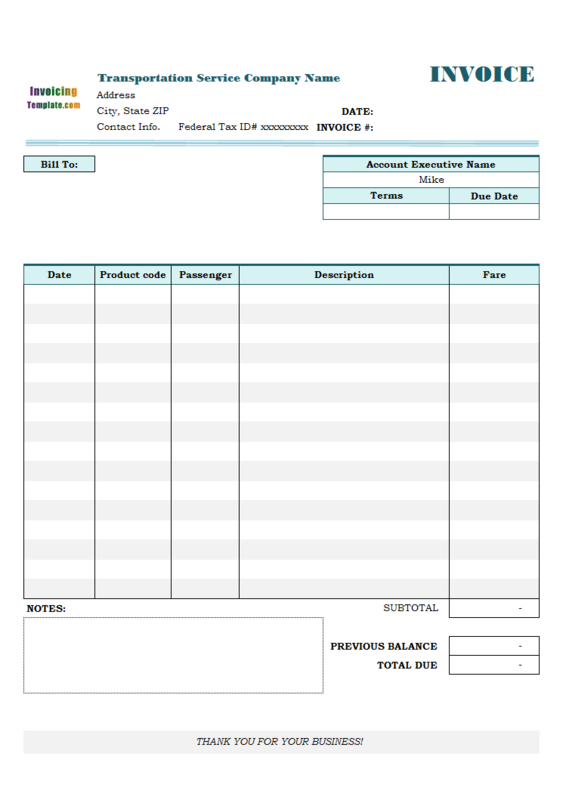 First make sure the "Invoice" worksheet is in design mode (to switch to design mode, push down the "Design Mode" button on the "Invoice" ribbon tab). And then, select "Print_Area" from the "Name" box on Excel formula bar. 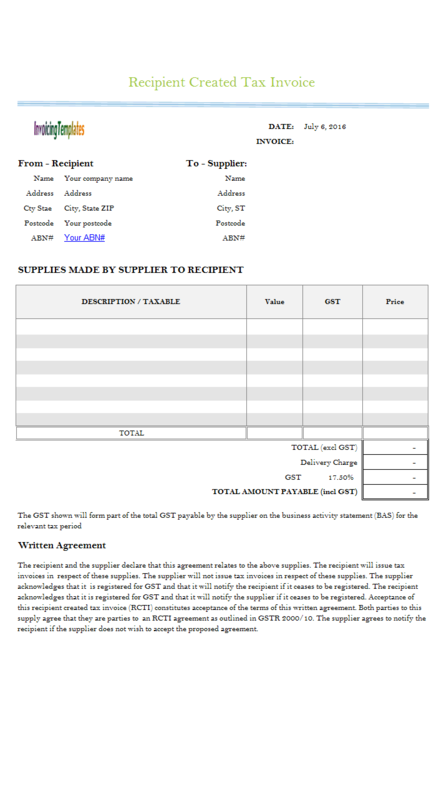 This selects all cells in the printable invoice form. Right-click one of the selected-cells, and choose "Format Cells". On the "Format Cells" dialog box. Go to the "Fill" tab, choose "No color", and then click OK.
Secondly, we deleted all "pick up" buttons as they are not needed for now. Our new Invoice Manager for Excel (namely Uniform Invoice Software) version implements an "On-Sheet Picker" that shows a small button when you click one of the supported fields, including all fields defined in the "Customer" database table, the "Invoice#", all the fields on the invoice detail section, "Sales Rep. Name" and "Payment" term. So it won't affect the usability if we delete the "pick up" (magnifying glass icons) buttons. Here is how you can delete an icon button from the "Invoice" worksheet. 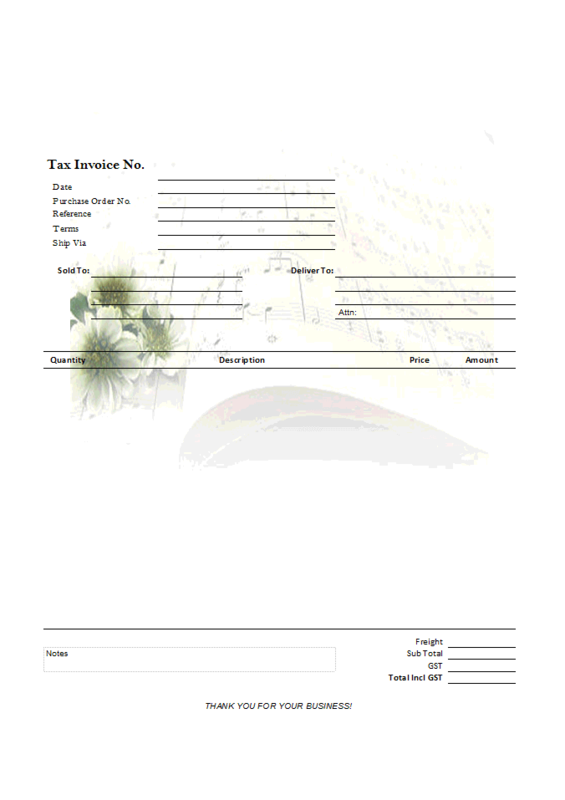 Again, make sure the "Invoice" worksheet is in design mode. Click to select a "pick up" (magnifying glass icons) button. Hit DEL key on keyboard. The last step is to add the image. To do this, follow the steps below. Open the "Page Setup" dialog box as described above. Go to the "header / Footer" tab. Check "Scale with document" and "Align with paper margins", and then click "Custom Header". On the "Header" dialog box, click to activate the "Center section" box. Click the "Insert Picture" button on the toolbar. Specify the picture / image you want to use, by browsing local computer, or search online. Once the picture has been specified, Excel inserts a "&[picture]" placeholder to the "Center section" box. Click to select the "&[Picture]" symbol, click the "Format Picture" button on the toolbar. This opens the "Format Picture" dialog box. On the "Size and rotate" section, set height and width of the picture to proper values. In this shipping invoice sample, the target paper is standard A4 paper (8.27 inch X 11.69 inch), so we set the image size to 6.89 inch (height) and 8 inch (width). This makes the truck image to be on the center of the printed invoice. If you are following this sample to insert your own image, you should adjust the width and height according to your own image. Go to the "Picture" tab. In the "Image Control" section, set "Brightness" to 85%, set contrast to 30%. Again, you should choose these values depending on your image colors. Click the "Compress" button to make the inserted image smaller in file size. Close the "Format Picture" dialog box. Click OK to close the "Header" dialog box. Click "Print Preview" on the "Page Setup" dialog box. 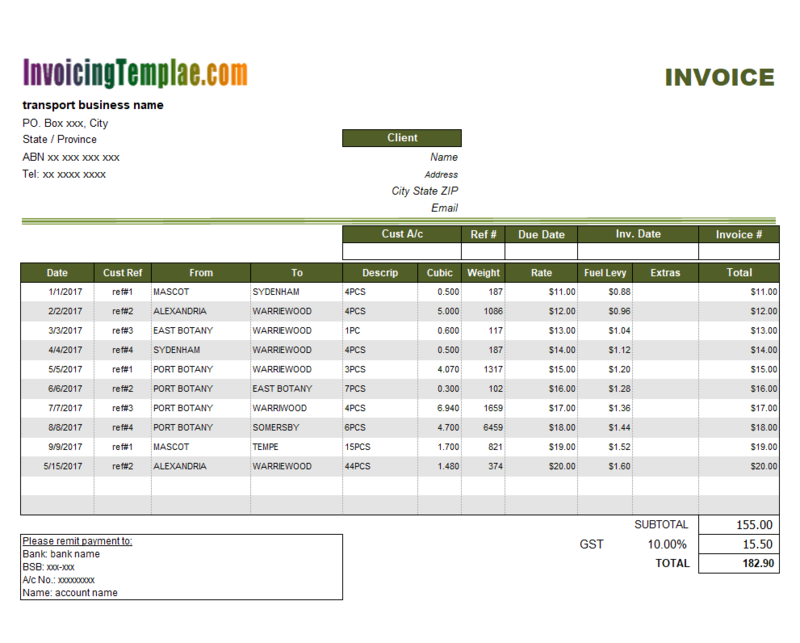 Excel shows what it will like when the "Invoice" worksheet is printed. You may need to open again the "Header" dialog box to adjust the size, brightness and contrast to get a best / satisfying background image effect. Once everything is done, click "Design Mode" button on the "Invoice" ribbon tab to exit design mode. In this shipping invoice sample, we let Excel itself to resize and adjust the brightness and contrast of the background image. There are more professional image tools that can help you optimize your images for background usage, such as Photoshop. 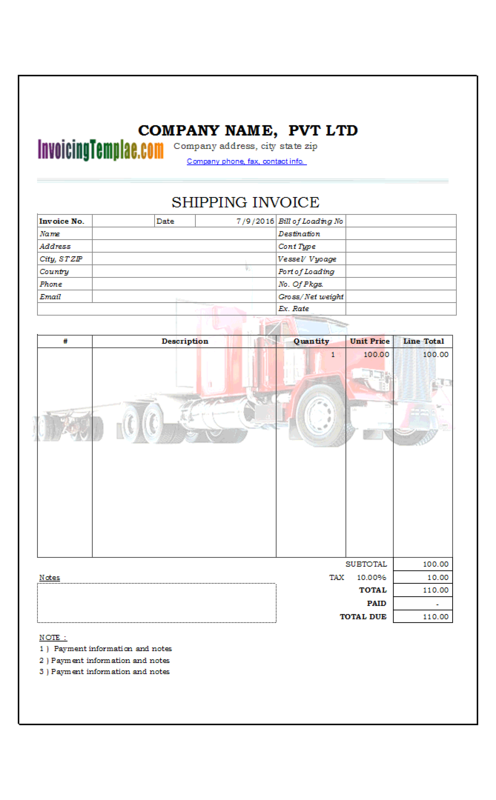 As you can see, with a litter trick we've added a truck background image to our shipping invoice template. As you can see from the screenshot images, the result is pretty good. 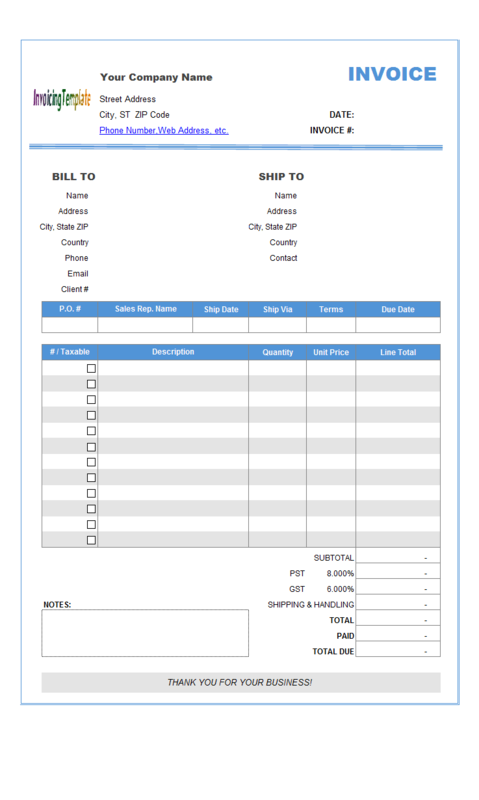 You can download this shipping invoice template for use for your shipping business, or search and download any invoice template for customization! 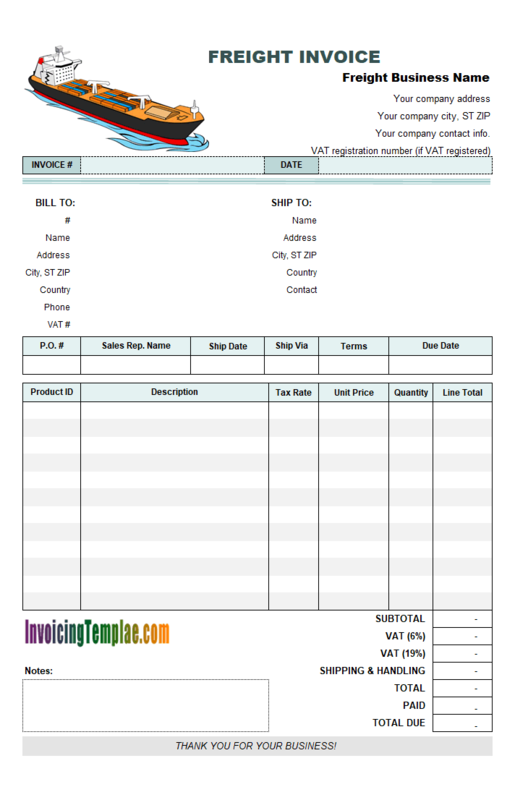 Like other form designs here on InvoicingTemplate.com, Shipping Invoice with Printable Truck Background is free (offered to you at a price of 0.00USD). It works on Windows XP and all newer versions of Windows, and Excel 2007, 2010, 2013 or 2016.